Anandakanan Nabadwip Picnic Spot is one of the best picnic spot & weekend tourist places near Kolkata & Howrah in West Bengal. Anandakanan Nabadwip Picnic Spot of Nadia district of Bengal is situated beside river Ganga and near to Mayapur. If you are looking for good place to visit near Kolkata/Howrah with your family as Weekend Tour or to have picnic then why not Anandakanan Nabadwip Picnic Spot? • Anandakanan Nabadwip Picnic Spot Route from Kolkata: - There are both Train Route & Roadways available from Kolkata to reach Anandakanan Nabadwip Picnic Spot from Kolkata or nearby areas like Howrah, Hooghly etc. If you prefer the Roadways to Anandakanan Nabadwip Picnic Spot from Kolkata then you should go to Krishnanagar first and from there to Nabadwip. Approximately three hours taken to reach Anandakanan Nabadwip Picnic Spot from Kolkata and only 105-Kms is the distance between Kolkata & Anandakanan Nabadwip Picnic Spot. In case you want to take the Train Route to Anandakanan Nabadwip Picnic Spot from Kolkata then you should take Trains towards Krishnanagar from Sealdah Railway Station (Check Sealdah - Krishnanagar Local Train Timings). There are auto and bus services available from Krishnanagar Railway Station and from Nabadwip Dham Railway Station to Anandakanan Park Nabadwip. • Anandakanan Nabadwip Picnic Spot Details: - Anandakanan Picnic Spot of Nabadwip has total of nine separate picnic spots in their campus and has lots of fun zone for kids who would love to visit Anandakanan Picnic Spot of Nabadwip. There are Wonder-world section, Toy Bus (Ticket price of Toy Bus - Rs.5/- per head), Boating on Lake (ticket price for Boating Rs.10/- per head), and Wonder-House Adventure section etc for children’ at Anandakanan Picnic Spot of Nabadwip. You can easily tour Mayapur Iskcon Temple and religious temples of Nabadwip on the same day of Anandakanan Picnic Spot of Nabadwip tour as well. • Best time to visit Anandakanan Nabadwip Picnic Spot: - Anandakanan Nabadwip Picnic Spot is quite far from Kolkata and this is why Winter Season is the best time to visit Anandakanan Picnic Spot of Nabadwip. 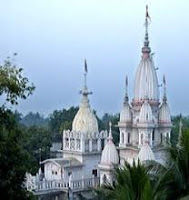 You may also visit Anandakanan Picnic Spot of Nabadwip during Janmastami (Sri Krishna Birth Tithi) & Rathjatra utsav. • Anandakanan Nabadwip Picnic Spot Accommodation Hotels: - If you want to stay at Anandakanan Nabadwip Picnic Spot and want to know where to stay at Anandakanan Nabadwip Picnic Spot then let me tell you that there are few hotels, lodges & guest houses available at Nabadwip and Mayapur. To book your Anandakanan Picnic Spot of Nabadwip please call 9051257848 / 9333079944 phone numbers. • Things to remember during Anandakanan Nabadwip Picnic Spot Tour: - Few things that you should carry with you and few things you should remember while touring Anandakanan Nabadwip Picnic Spot because Anandakanan Nabadwip Picnic Spot is located beside River Ganga & there are Lakes in the campus; so take extra care of your kids, because there are total of 9-Lakes inside the Anandakanan Nabadwip. Search Tags: Anandakanan Nabadwip Picnic spot near Kolkata, How to go Anandakanan Nabadwip picnic spot of North 24 Parganas West Bengal, Features facilities attractions of Anandakanan Nabadwip picnic spot near Kolkata Howrah in Bengal, Anandakanan Nabadwip Picnic Tourist Spot details, routes to follow Anandakanan Nabadwip picnic spot route map from Kolkata Howrah distance to Anandakanan Nabadwip picnic & tourist place from Kolkata Howrah train bus road routes to Anandakanan Nabadwip Picnic Spot Tourist Place of Bengal near to Kolkata, accommodation hotels lodges room charges at Anandakanan Nabadwip Picnic Spot Tourist Place.